The cash flow industry caters to private individuals and businesses looking for personal and/or commercial financing instruments other than traditional bank loans or credit lines. Essentially, financing within the cash flow industry is done by advancing funds on payments or income streams that are documented and guaranteed, but payable in the future. Therefore, many private individuals or business entities waiting to receive some kind of payment in time – but in need of cash now – can accelerate their cash flow, by selling the rights to these future payments to private or institutional investors in exchange for immediate cash. While banks in their lending decisions focus on the financial strength and credit history of the borrower, those private or institutional financiers within the cash flow industry use a very different scoring system. They base their funding decision primarily on the quality of the documents that guarantee the future payments and on the creditworthiness of the entity that will ultimately make the payments – not on the one that is receiving the funds. And that shift – from a creditor-centric evaluation to a debtor-centric one – is probably one of the most important differences between traditional bank financing and alternative financing instruments, as it can provide non-bankable individuals and business entities immediate access to funds that would otherwise not be available to them . There are many different types of “future income streams” that qualify for financing in the cash flow industry. We are all familiar with documents that represent a promise of one party to pay another party a specific amount of money over a period of time. The most common of these documents are simple invoices that require one business to pay another business for a product sold or a service rendered. 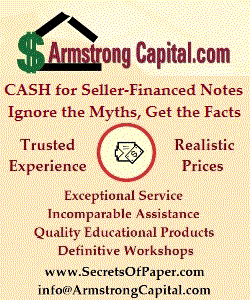 Other common ones are promissory notes secured by real estate, a business, or any other assets. 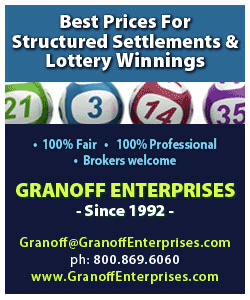 But there are also structured settlements, annuities, and even lottery, casino, or contest winnings, retail installment contracts, and auto loans, or expected proceeds from a lawsuit – before the lawsuit is even settled. The financiers within the cash flow industry will buy the rights and titles to such future payments – but not the actual services, products, or assets they represent. Other forms of financing available within the cash flow industry include specific commercial and trade financing solutions such as equipment leasing, inventory financing, purchase order funding, merchant cash advances against future credit card receivables, and many more. The list is extensive and includes well over 60 different “future income streams”. And although different in nature, the common denominator between all of them is the fact that the general concept of the cash flow industry applies to each one: Even if traditional bank financing is unavailable or not your preferred choice, you can still get cash today for payments you would otherwise receive in the future. 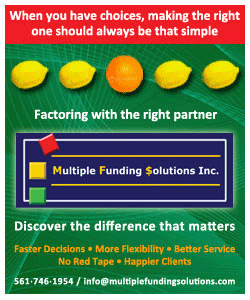 So whenever you see a financing need for a scenario where the general principle of “cash now instead of payments in the future” might apply, chances are that you will find help and a viable solution right here at Cash Flow Exclusive™ and among the many professionals within the cash flow industry.